"Hello. Can we have your liver?" "But... I'm using it, eh." 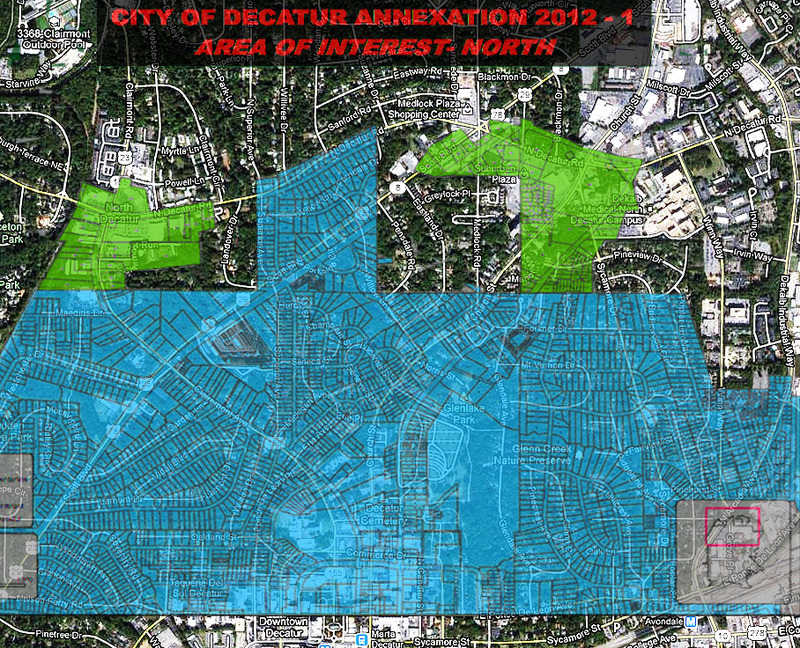 "Decatur City Manager Peggy Merriss estimates that revenue from the targeted areas would be about $825,000, with real estate taxes accounting for $533,000 of the total. She said the city would incur more than $404,000 in additional costs for police, storm water and street lights. . . . Merriss said the city has not asked any legislators to sponsor the annexation. She said it might take more than one legislative session to get it done. 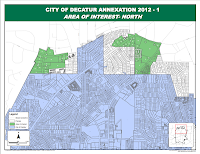 Continue reading @ CrossRoadNews"
City of Decatur. Click to enlarge. Same map, overlaid on Google map. 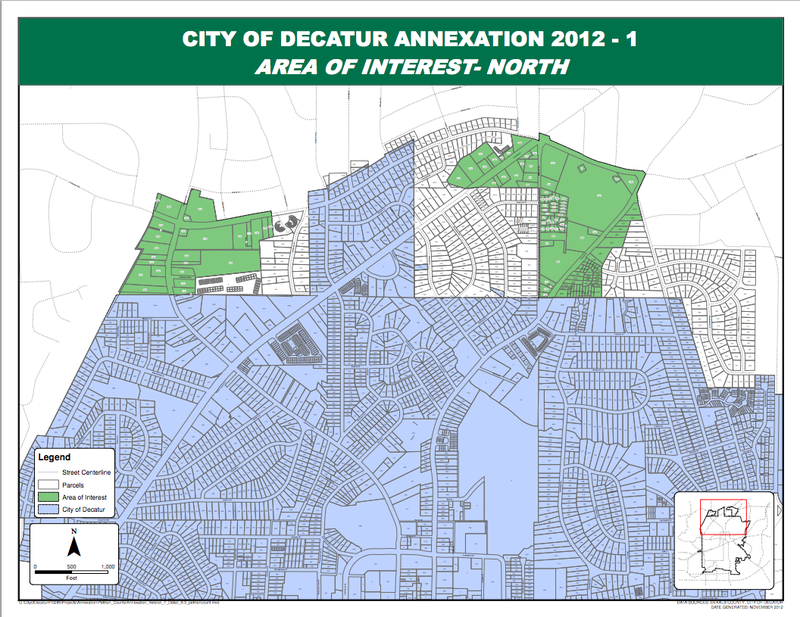 Click here for a closer look at these annexation areas. "Do you think this annexation that was recently approved will ever become a reality? 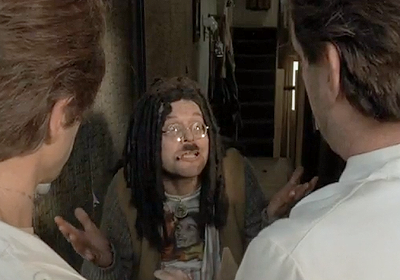 "Well I wouldn't know, madam. I think it’s got a good chance at some point in time, maybe not this year. 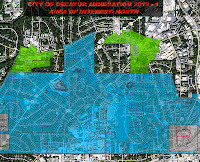 I think it's inevitable that even DeKalb County at some point will realize that it’s better for those community hubs to be part of the city of Decatur than they are in DeKalb County. If you ask the county commissioners and the CEO realistically can they can control those hubs better than we can, the answer is they can’t do it. 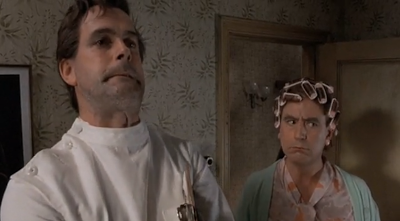 We can. . . . Continue reading @ Patch"
If, like John Cleese, you experience mixed feelings at these words, sign the anti-annexation petition at CHCA.